Interzoo has only barely begun, but we’ve already determined that De Jone Marinelife has the best display reef tank at the show. We don’t even need to look at any of the other tanks to make that decision either. This tank is just way too stunning to be second to any other. It is full of amazing corals and an elaborate rock structure that don’t look like they were just thrown together for one show. Instead, this looks like a mature, full-blown reef tank. 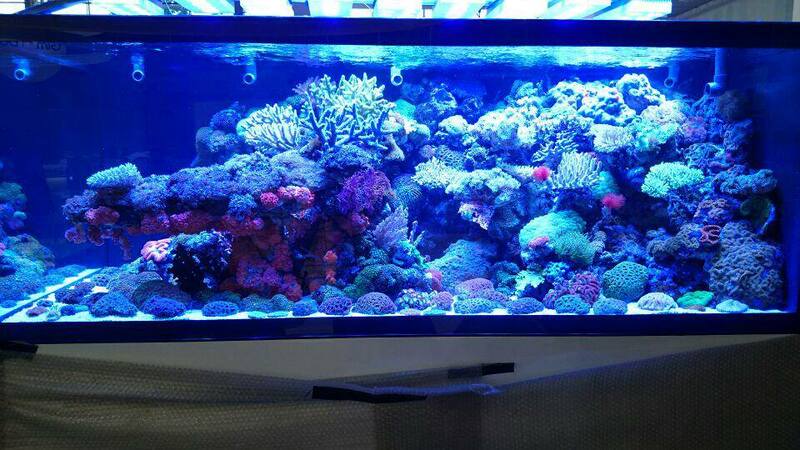 We don’t know the size of this aquarium, but given the massive array of AquaIllumination fixtures, we’d say this tank is well over 300-gallons and probably closer to a 500. Besides this tank, Interzoo is playing host to hundreds of amazing display reefs and planted aquariums. We are deeply jealous that we can’t actually be there in the flesh, but in this case we will settle for living vicariously through the Facebook posts of others.